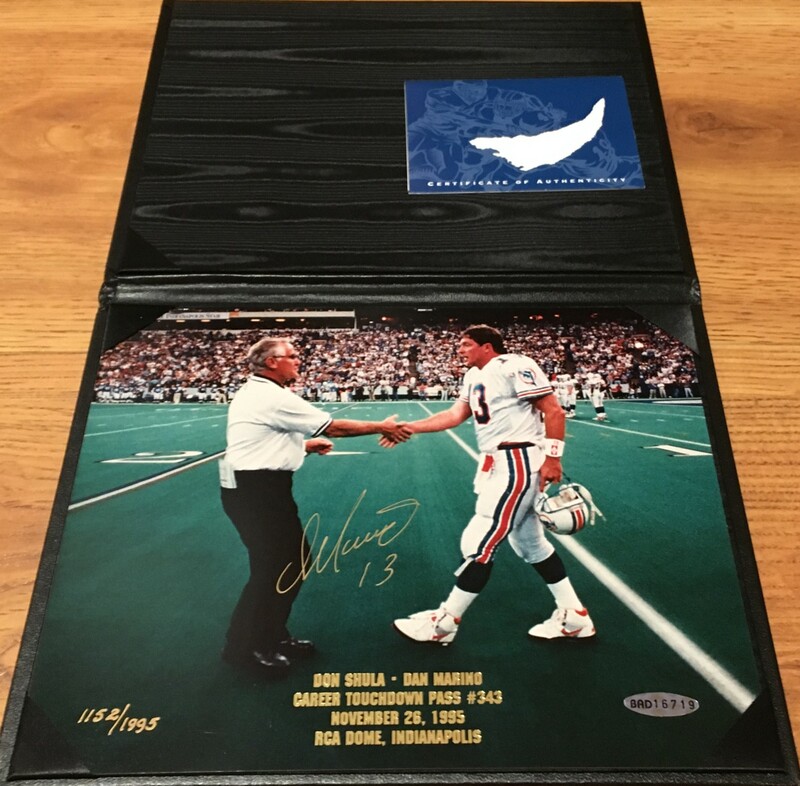 8x10 photo of legendary Miami Dolphins quarterback Dan Marino on Nov. 26, 1995 being congratulated by Don Shula after throwing career touchdown pass #343 to Keith Byars (breaking the NFL all time record held by Fran Tarkenton; Marino's final total of 420 has since been surpassed by Brett Favre) autographed beautifully by Marino only in thin gold paint. Authenticated by UDA's patented five-step process including matching numbered holograms on the photo and certificate of authenticity (COA has surface tear on the outside as shown). With original UDA leatherette folder. UDA gift box NOT included but available at additional cost depending on shipping address. ONLY ONE AVAILABLE FOR SALE.